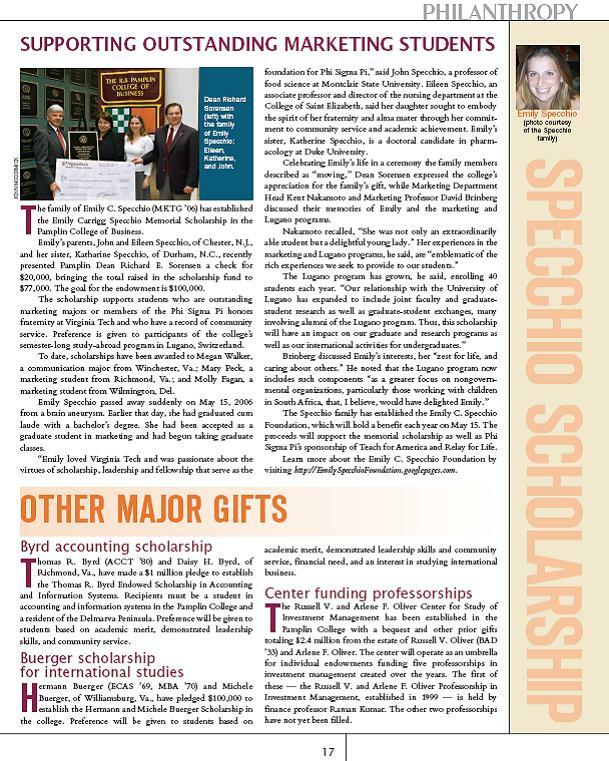 The Pamplin College of Business at Virginia Tech has run an article in their Pamplin Magazine about Emily’s inspirational life, sudden passing, and wonderful support of friends and family to lead to her endowed scholarship through the University. OR make a donation online through paypal! Site Admin | WordPress Theme | Web Hosting Bluebook The Emily C. Specchio Foundation Copyright © 2019 All Rights Reserved .